If you have the lower end Flip Video camera like me, you know it is extremely hard to take close ups. After reading olivereitalu's Ible, "Take awesome macro photos with your camera phone and a swiss army knife", I thought of an extremely simple way to solve my problem. The resulting quality isn't perfect, but it is a substantial improvement on the original quality. You won't need much for this project: just your Flip Video, a hand lens that flips out (similar to the one in the picture or at this link), and some poster putty. Roll out the poster putty so it is relatively thin and slightly larger than the hand lens in one direction. Position the poster putty on the hand lens enclosure so a little bit hangs off the top and bottom. Then, roll the sides of the putty inwards. 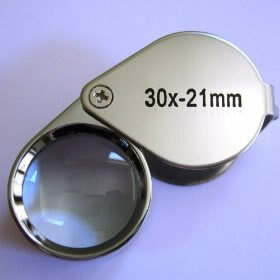 This will help the lens stay flat to the camera. Position the hand lens on the camera so it can open and close freely and so the middle of hand lens lines up with the middle of the camera lens when opened. Press on firmly and apply more putty in specific area if necessary. Now, whenever you need to film a close up, just slide out the hand lens and adjust the distance from the object and the zoom on the camera to focus. It is surprising how much better the quality will be! Take a look at some stills from footage I took with and without the "macro lens". I think this is a fake, not convincing! My magnifying glass is PERFECT! I think I will use 2 money snatcher prank devices that will pull the lens upward. A button will open a pin-and-2-holes catch and activate the money snatchers. That saves space since my lens is a 1/4" wider than the flip itself. That's a very interesting approach! Be sure you post pictures of your final product! I can't wait to see it! I will try that with a magnifying glass, catches from model train cars, some epoxy (if it works) and a rollorblade bearing. The first step is to see if the glass works.